LEANING INTO THE WIND is director Thomas Riedelsheimer’s second documentary on renowned artist Andy Goldsworthy, following 2002’s highly acclaimed RIVERS AND TIDES. 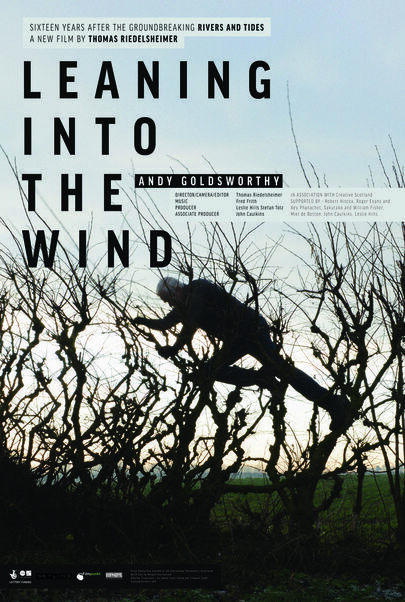 The film is a vibrant journey through the diverse layers of Goldsworthy's world. From urban Edinburgh and London to the South of France and New England, each environment he encounters becomes a fresh kaleidoscopic canvas for his art. A lushly-visualized travelogue, Goldsworthy's work and Riedelsheimer's exquisite cinematography redefine landscape and inextricably tie human life to the natural world.